BSW Bloodstock and Taylor Made Sales Agency broker deal for Southern California based partnership, Little Red Feather. Little Red Feather has purchased a minority interest in Lightstream, a 3-year-old filly by Harlan’s Holiday. 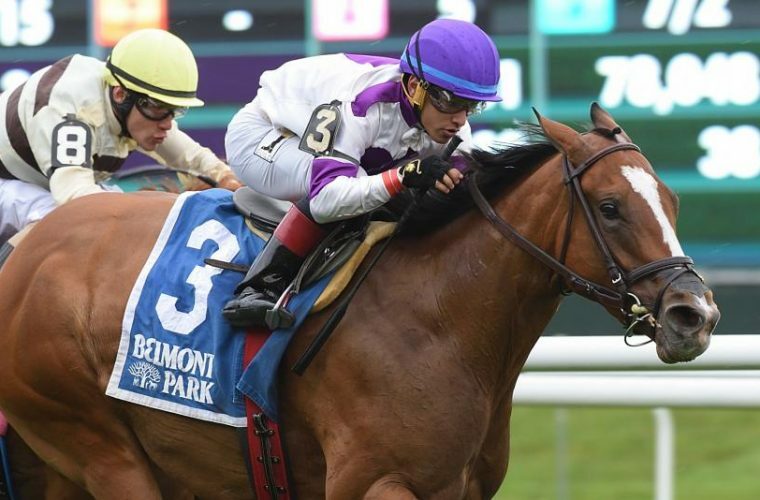 With only 6 career starts, the talented filly is already a multiple Graded Stakes winner with victories in the Adena Springs Beaumont Stakes (G3) and most recently, the Lexus Raven Run Stakes (G2) at Keeneland. Including those wins, her record currently boasts 4 wins, 1 second and 1 third. After breaking her maiden in her debut, the filly has been raced solely in Stakes and Graded Stakes events. Lightstream, owned by Sol Kumin’s Head of Plains Partners LLC and Up Hill Stable, will remain in training with Brian Lynch. She’ll make her next start in the Grade 1 La Brea Stakes at Santa Anita on December 26th. It has been a banner 2016 for BSW Bloodstock was also responsible for the purchase of two American Classic winners, Exaggerator, winner of the Preakness Stakes and the betfair.com Haskell Invitational Stakes, and Creator, winner of the Belmont Stakes.